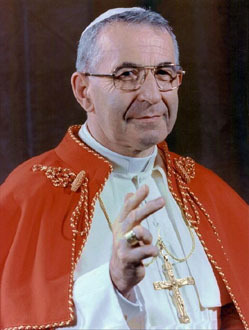 "At the same time today, it was also confirmed today that – keeping with the rites scripted over centuries to mark a papal vacancy – the Fisherman's Ring with which Benedict was invested on his 2005 election (its casting a departure from the past) will indeed be destroyed to symbolize the end of this pontiff's authority and, per tradition, protect against any potential forgeries of documents." I don't believe this will be done primarily because what Pope Benedict XVI is wearing is his Fisherman's Ring, yes, no doubt about it, but IT IS NOT the signet Fisherman's ring that is used to make papal bulls or wax seals and stamps on official papal documents. Pope Benedict is wearing the traditional Fisherman's ring. 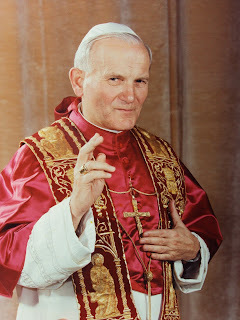 Other popes before him did not wear the same ring. The ring that the pope is wearing right now bears a positive image of St. Peter in a boat casting his net, and the pope's papal name, as you can see on the picture. But the Fisherman's ring that is traditionally destroyed is the one used to make papal bulls and seals. 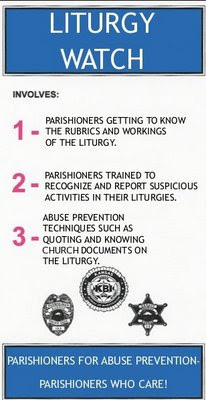 The practice of destroying piscatorial ring is not only for purely ceremonial purposes but to destroy the ring so that no other official documents are made under the preceding pope. That is why it is destroyed in front of the Sacred College who are gathered before the camerlengo who destroys it. The primary witness is the Cardinals gathered who are now governing the Church during sede vacante. 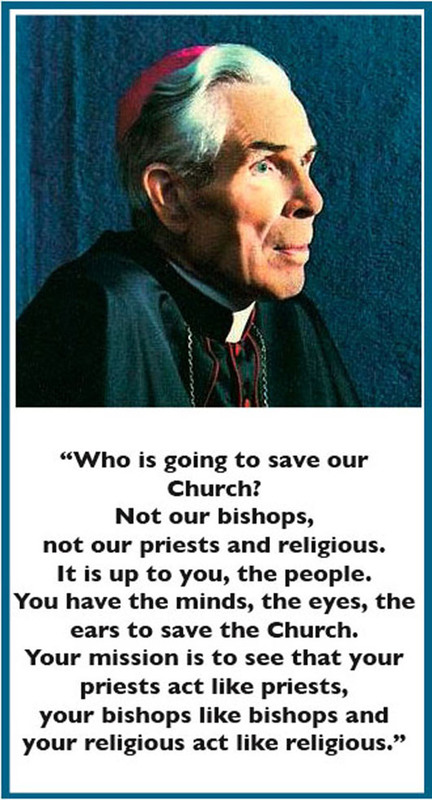 Pope Benedict XVI who will be emeritus tomorrow at 8:01PM Rome Time is not a member of the Sacred College thus he will not share the power of governing the Church during sede vacante. 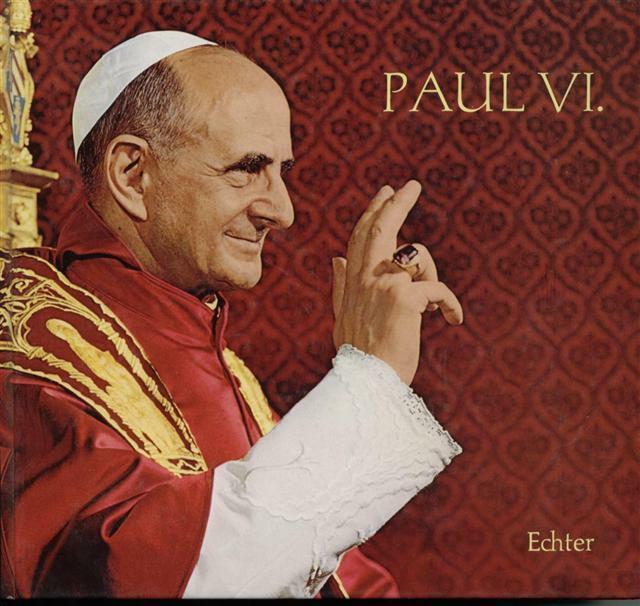 Here is a photo of the mark left by the fisherman's ring of Paul VI on a papal bull. 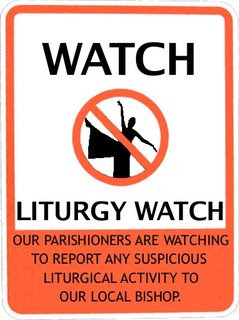 Courtesy of John Sonnen of Orbis Catholicus Secundus. Now look at the rings in these papal portraits. Notice the rings? Either they have a single stone set on it, and they do not resemble the Ring of the Fisherman that Benedict XVI wears or how the traditional design of the ring looks like. John Paul II wore this kind of ring instead. It is not the Ring of the Fisherman. What will be destroyed is the Signet Ring of the Fisherman. The one that is used to make seals like this kind. This one here is a reproduction of the Fisherman's Ring by a ring maker in the UK. The left foreground is the actual ring bearing the negative image. If you use the ring on a wax, the positive image will look like the one of the right. Here is another example of seals used in official documents. The wax is on the left and the press of the seal is on the right. Now we have dry seals especially on college diplomas and government certificates. Making these signet rings is expensive and there are no wax (for seals) suppliers here in the country as far as I know. Appointments of bishops usually have this mark. Try asking your bishop if you could take a look at his papal bull. So what will be the ring that will be destroyed? Will it be the one Pope Benedict is wearing right now? I don't think so. It will be the ring used to make official papal documents. One of the scenes of the movie The Shoes of the Fisherman, starring Anthony Quinn, shows the detailed process during a sede vacante including the destruction of the Signet Ring of the Fisherman. The same scene in that hideous movie Angels and Demons does not do justice in the destruction of the ring. The camerlengo there is not a cardinal and the ritual of showing the ring before it is destroyed is not also shown. So I'd rather trust the one with Anthony Quinn. 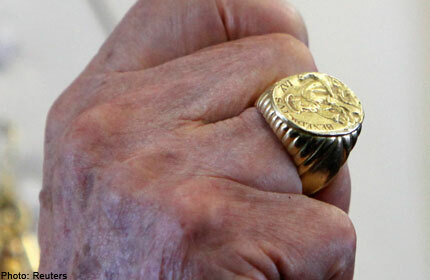 For more info about the Ring of the Fisherman and Papal Bulls, click here and here. And if you are into making your own seals, try reading this. Do any other Fisherman's rings incorporate the Keys of the Kingdom? I have only seen two hands on fisherman's net. Thank you for your blog entry--best I've seen regarding Fisherman's ring history. Thanks RDMD1. I had to post this since I got a lot of comments from email and Facebook about what will happen to the Ring which in FACT did not happen to the ring. It was just scarred and left in a Vatican vault but not destroyed. About the keys, yeah, Pope Francis' ring is the first one to feature St. Peter with the keys.